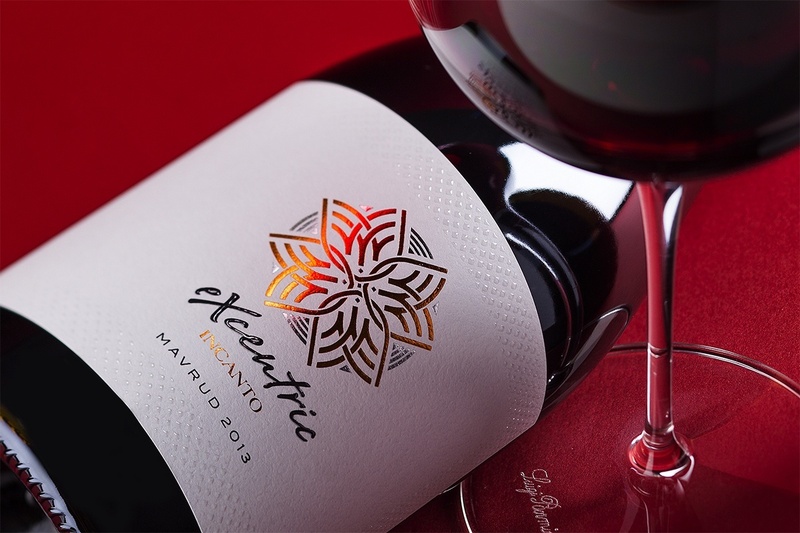 Incanto Excentric wine label is designed in 2014. 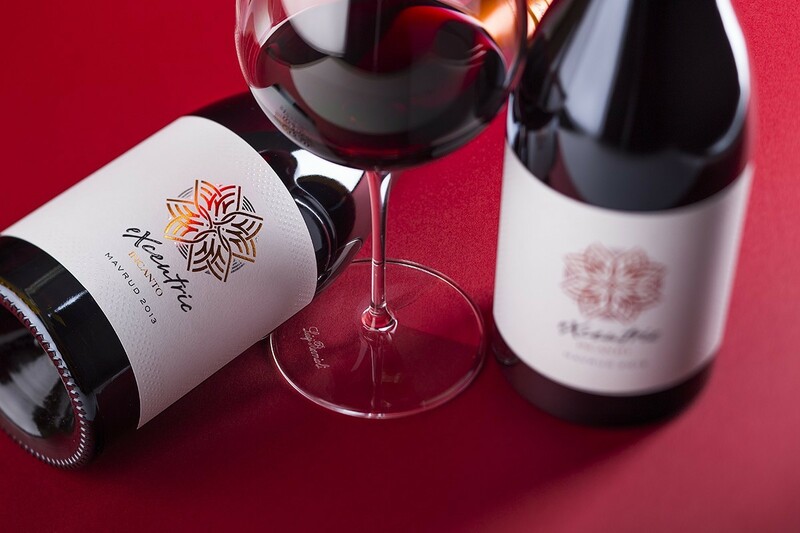 The large four leaved arabesque rosetta at the center is created from the logo of the Medi Valley winery. The four logos are rotated around a center point with a step of 90 degrees. Each of them is printed with two different hot-foils. 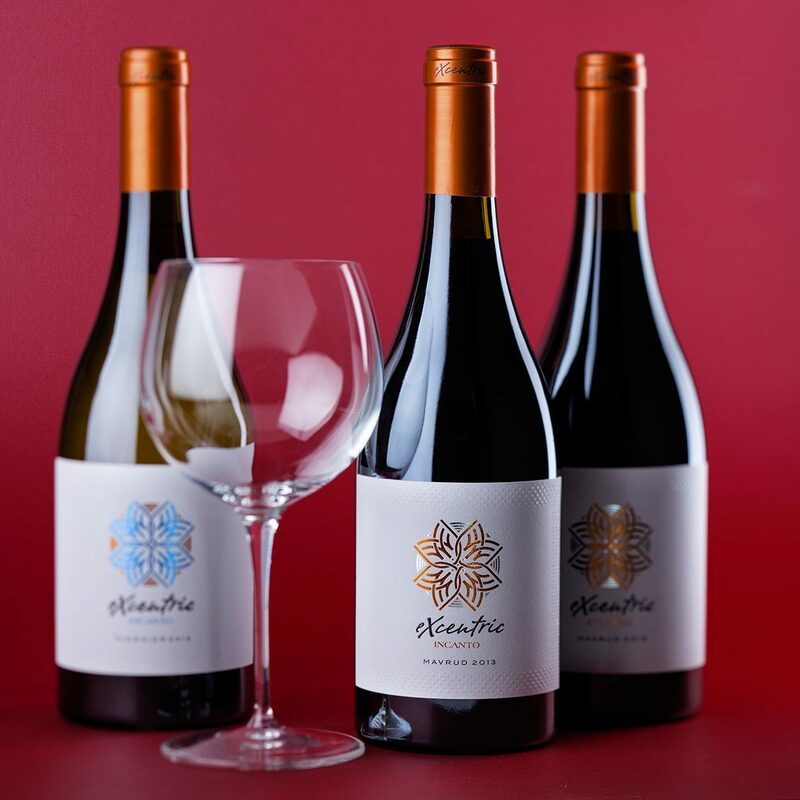 The wine range consist of 4 wines – Mavrud, Viognier, Chardonnay & Sauvignon Blanc and Rose each presented in different color hot-foil combination. We used very thick snow-white paper and did a large label to fit perfectly the bottom part of the heavy Burgundy bottle used for the whole range. 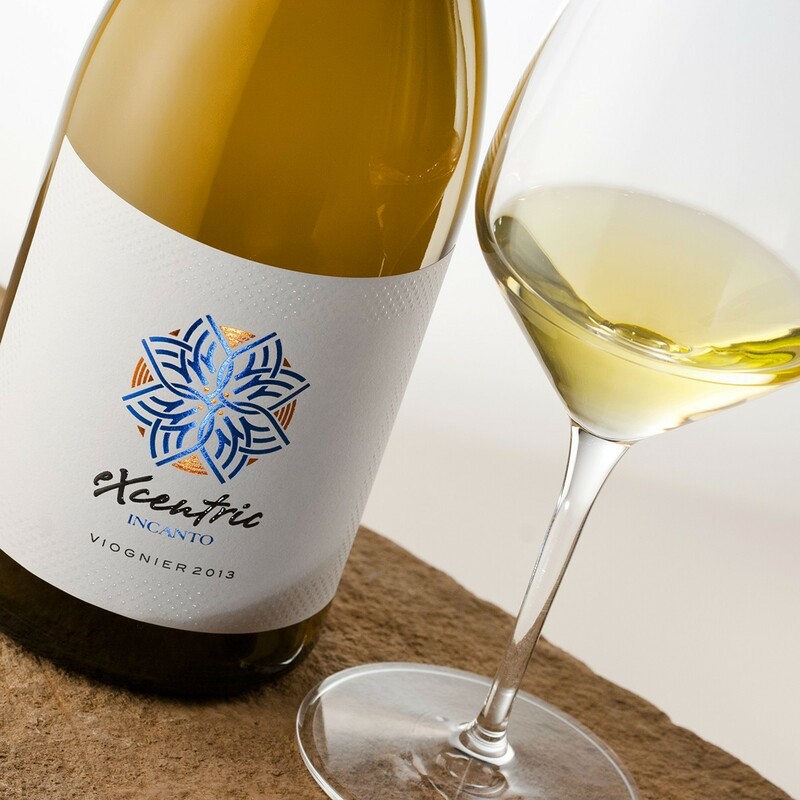 If you take a look closer you will discover an elegant frame around the label edges printed only with transparent varnish featuring very delicate and tender water drop effect. The capsule is printed with single metallic copper color and branded with the Excentric logo.